What is content marketing? It’s likely you’ve heard the term before, as it has become a buzzword for the new way to “do” marketing. 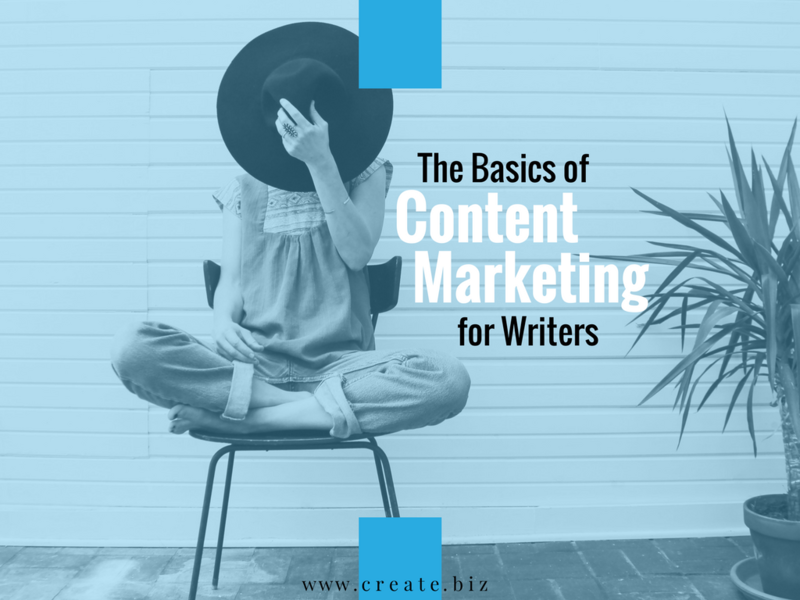 Businesses of all types have embraced content marketing in recent years, but how does that relate to you as a writer? 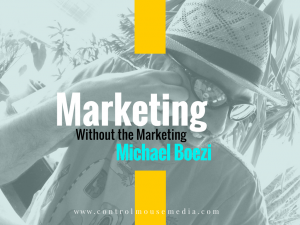 How can you use content marketing? 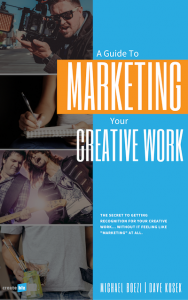 This free ebook tells you how – specifically for writers and other creatives: A Guide to Marketing Your Creative Work. Content marketing started as a way for smaller players to reach an audience directly. Using the power of the Internet, “regular” people like you and me could now build a website, publish a blog, and connect with people via Twitter. We could share our stories, offer our opinions, and even make independent commercial transactions. In short, we became publishers. As a former editor in the publishing industry, I take this distinction seriously. The craft of publishing requires skill and commitment – and takes years to develop. It’s a mix of creative instinct and measured discipline. Even though the industry is in peril at present, it still attracts some of the smartest, most interesting people you’ll meet. But they no longer hold all the power. You do. Historically, access to an audience was difficult. Now it’s simple. Write that blog, connect via social, and ultimately – earn enough trust for people to actually buy your book. Content marketing is the process by which you do all this. 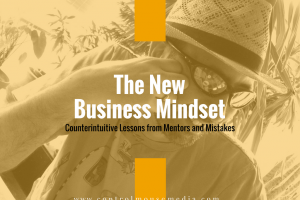 In order to start thinking like a publisher, you may have to learn some new skills. But you can rely on some old skills too. Good news for you – you’re a writer. You already have 90% of the skill set required to do content marketing. 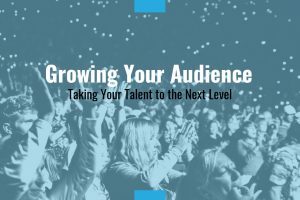 You will write to connect with an audience – your audience. You will use the writing skills you already have to draw people in and get them interested. As you can imagine, this won’t happen on its own. You need a concerted strategy to activate this dynamic. The thing that will be familiar to you, though? The attention you earn will be based on the strength of your writing – just like it is with your books, short stories, and essays. Content marketing won’t work without good content – your writing. You might see people try to “game” the system with low-value content, and they might get a short term burst of attention with cheap, empty “listicle” posts. But this attention will wane quickly, along with their online authority. The goal of content marketing is to build trust and authority. The organic growth of real fans is the ultimate outcome. This requires a long-term strategy, because trust must be earned – and doing so takes time. Content marketing is about connecting with people regularly so you can show them why they can – and should – know, like, and trust you. Content marketing is a way to begin a relationship with a potential reader. It’s a way to introduce yourself (and your writing) to someone – but on their terms, not yours. This is incredibly powerful, because now the reader feels in control. And she is. It’s a privilege for you or me to be invited into her world – to earn some of her attention. To help her solve a problem or be more efficient or inspire her to do great things. To make her laugh, cry, or feel empathy for your character. It’s a gift. When your book has this kind of impact, it’s incredible. You might know this feeling as a writer – but you certainly know the feeling as a reader. Books have this power – but at the same time, they also limit this power as well. Please allow me to explain. Books were the predominate cultural element for nearly 650 years – it was simply the best way to transfer ideas. The Internet changed that. Now we have the power to publish an idea immediately and reach a global audience almost instantaneously. That idea can travel across the network and reach audiences the size of which were previously unimaginable. Of course, there’s no guarantee that the idea will travel – and in fact, most don’t. But the potential exists, and the potential reach is bigger by an order of magnitude, if not more. That’s not to say that books are going away – they remain an important and well-established means of communication. But the Shift to Digital favors disaggregation – and it affords you a whole other set of options beyond long-form works. The benefits of short-form content (blogs, social media, etc.) is that you are able to have more frequent interactions with your readers. These interactions are what make up your author platform (the topic of my last post), which will help bolster your brand. There’s a romantic notion of what a writer should be – a brilliant artist, writing alone by lamplight, with throngs of avid readers waiting outside for her to emerge with her next masterpiece. This notion is poisonous. It stains everything we do as writers. What we really do as writers is connect. That’s all there to it, when you strip everything away. Try to get away from thinking only in terms of books and other pieces of long-form content, then. Unless you are producing multiple books per year, it’s not frequent enough contact with your audience. Even if you are, you could be doing better. It’s harder to get the permission of attention with long-form content. The threshold is simply higher. Start with shorter-form content, then. Start inviting people into your world. Anyone will give you 450 words worth of their attention. Once. If it’s really good, maybe twice. Then three times. Build trust, little by little. Let’s stop for a moment to reflect on this. Shorter, more frequent content – in addition to publishing your books. OK, great. Got it. That’s content marketing. Soon enough you’ll have enough permission to ask for more time – to actually read your book. When it’s really working? You won’t even have to ask. Once you’ve committed to more frequent interactions with your audience, you’ll find that there are three fundamental drivers as you set out on your content marketing journey: Consistency, persistence, and a little patience. When you are planning your content marketing strategy, start with the notion that you are going to consistently deliver. As soon as you start publishing materials, you are making a promise to your audience – no matter how big that audience is. Treat it like a promise. Carve out the time needed to deliver your content at regular intervals. If each piece is entertaining or useful to them, they will come to expect it from you. When you reach that point, congratulate yourself. You’ve created a need – a reason to keep coming back. This is more than just being consistent. It requires some flexibility – and humility. Start with a set of hypotheses, based on what you know about your audience. Prepare to be proven wrong, though. If you’re just starting out, you don’t know enough about your audience (even if you think you do). The only way to learn is interact with them. Don’t stick to the same strategy just because it’s what you know. Be persistent in learning, adjusting, and trying new things. Eventually, you will learn enough to be really in tune with you audience. Your results are going to go through ups and downs, especially at first. It’s going to feel like no one’s listening and no one cares what you have to say. And even the gains you experience will sometimes be so small that they’re barely worth celebrating. You’ll be tempted to stop. After all, what’s the point if no one’s listening? If it helps, here’s how I think about it. You are producing useful content, right? If it’s what I call “durable” content, then it’s going to continue to be useful. It doesn’t expire the day you post it. You’re building a deep content library that you can rely on for years to come. This is why it’s especially important to work from a content plan. Writing is hard work. Believe me, I understand that. As much as I produce, it’s always a challenge. It’s a slow process for me, and I always feel like it takes more time than it should. But it’s a critical piece of my overall strategy, so it’s worth it to me. You’ll have to decide whether or not it’s worth it to you. If you need an audience – and most writers do – it’s the only way to build rich relationships. Someday, maybe you’ll have those throngs of fans. But it’s always going to start with the trust of a few. Marketing your book is your responsibility – even if you work with a publisher. No one will care about your book as much as you do. So it’s up to you. What are your options, then? An ad in the local paper? A billboard on the highway? Setting up a book table in the subway? Handing out promo cards to random people? This is what writers and other creatives picture when they think of marketing. Yuck. Not only are these methods icky and distasteful – they’re not effective anymore anyway. Again, this is more good news for you. You don’t have to indulge in these types of activities. You don’t have to be “sales-y.” You don’t have to annoy people. You don’t have to shout “buy my book” all over social media. 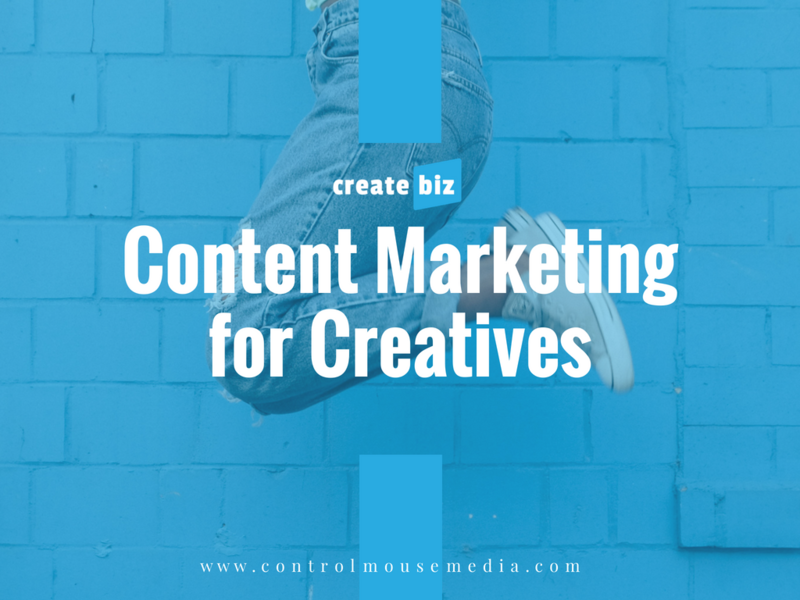 Content marketing is the new advertising, and is much more palatable to writers and other creatives who hate traditional marketing methods. Content marketing is an investment of time that’s worth it if you are consistent, persistent, and patient. And content marketing is here to stay because it’s more in line with today’s consumer behavior. Content marketing is not new – “know, like, trust” has always been a useful goal in earning paying customers. Today’s methods are a little different, and anyone can learn them. If you haven’t started yet, it’s not too late. If you have started, keep learning and fine tuning your approach. There’s freedom in understanding that content marketing is your only option now! 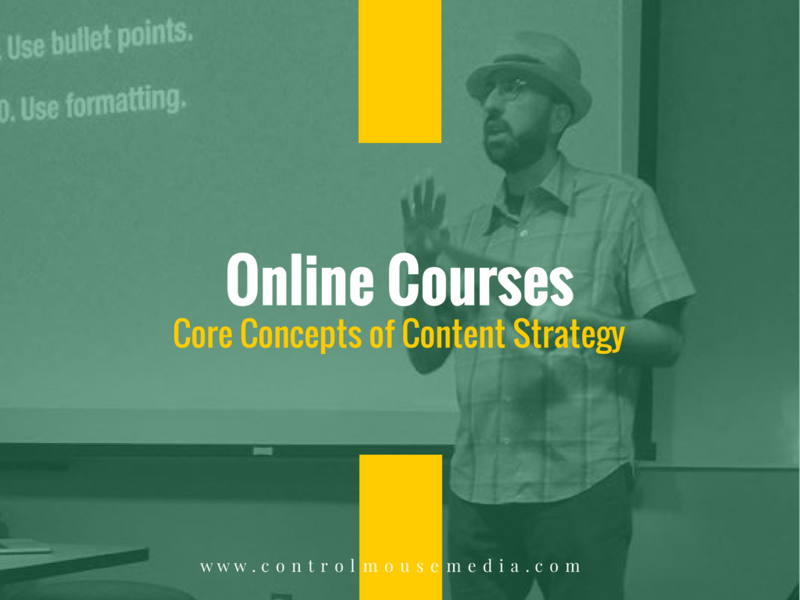 The course is 42 video modules, with dozens of worksheets, templates, and strategic assignments to help you get focused and efficient in building an audience. 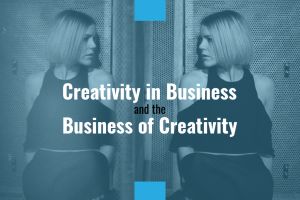 Many writers hate marketing, with good reason – it feels “icky” and self-promotional. No need for that! CreateBiz employs a more soft-touch approach instead, which is more effective anyway if you want to grow a devoted following. See for yourself – have a look at the first module here and see if you think this would help. Then sign up for a free set of email lessons to give it a test drive. There’s no obligation, and maybe you’ll learn something new today that you can start applying immediately. Hey Michael: I like your approach, it’s in line with mine! I don’t like the self promotion manner I’ve seen online and do believe it can be done in a cleaner neater way, hence content as you suggest. I’m dropping a line to let you know someone watched your first video, and read their e-mail. I like responses, figured you might also. What I wanted to bring your attention to is something I just noticed, which is, it looks like you’re addressing music people here as well, I fall into both categories of writing and the music part. Hi Robert, thanks for reading – and reaching out! I like your multi-modal approach, and that you have a basic base of operations set up with your website. It seems like your next step is to really start getting people involved – outreach via social to find collaborators and other like-minded people. Then invite others to take part. There’s a site called kompoz.com for people to collaborate on music projects – that might accelerate the process for you. Having more people involved will help the overall network grow faster. Dave and I talk a lot about social strategies in Unit 5 of the CreateBiz course – and then how to integrate everything (website, blog, social, and email) throughout Unit 6.